In 2012 WaterFire Providence received a major grant from ArtPlace America to launch a public art incubator to create new art works and public programs with a wide variety of arts and culture organizations to experiment with original ways to add vibrancy and economic impact to the city of Providence. We began to plan and build a learning lab, this project will exist in two dimensions. In the real world our learning labwill take shape in a former U.S. Rubber warehouse that we purchased in December of 2012. In this physical place we are planning on creating an enviroment where art, science, learning and making all coexist. This building will not only house WaterFire Providence’s operational and day-to-day apparatus, but will also become a home to art installations, workshops, lectures, performances, and maybe even a little roller derby. 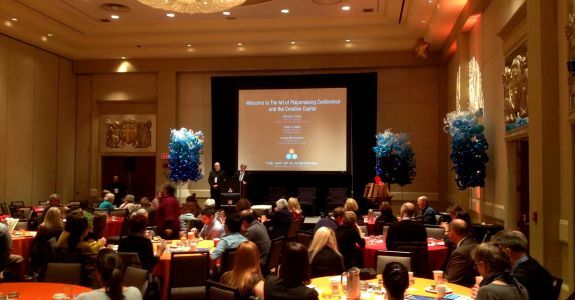 As part of creating our learning lab we hosted a unique conference in Providence on November 7th – 9th of 2013. 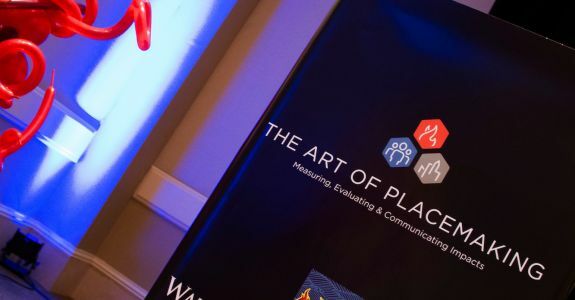 The Art of Placemaking conference included placemakers, artists, urban planners, community developers and researchers meeting to discuss impacts of using art to build and transform community.